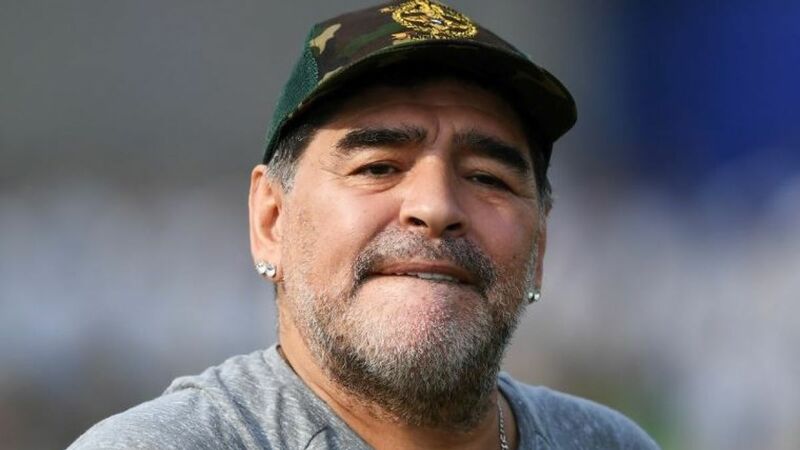 Argentina’s football legend, Diego Maradona has been released from hospital on Sunday, following a successful routine operation for stomach bleeding. The 58-year old coach of Mexican club Dorados de Sinaloa was diagnosed earlier this month with internal bleeding caused by a hernia and went under the knife on Saturday in a hospital on the outskirts of Buenos Aires. His lawyer, Matias Morla said on Twitter. “Diego Maradona has just been released from hospital and is heading home to continue with his recuperation”. The former Boca Juniors, Napoli and Barcelona player has been no stranger to hospitals in recent years, often due to the extravagant lifestyle that helped make him one of the most iconic players of the 20th century. He last fell ill at the 2018 World Cup in Russia, where he fainted in an executive box while watching Argentina play Nigeria. Maradona, who led Argentina to the World Cup in 1986 before twice being banned for failing drug tests, was taken into hospital in 2004 with severe heart and respiratory problems linked to cocaine use. He later underwent drug rehabilitation in Cuba and Argentina before a stomach-stapling operation in 2005 helped him lose weight. He is expected to return to coaching duties in Mexico when he is fully fit again.